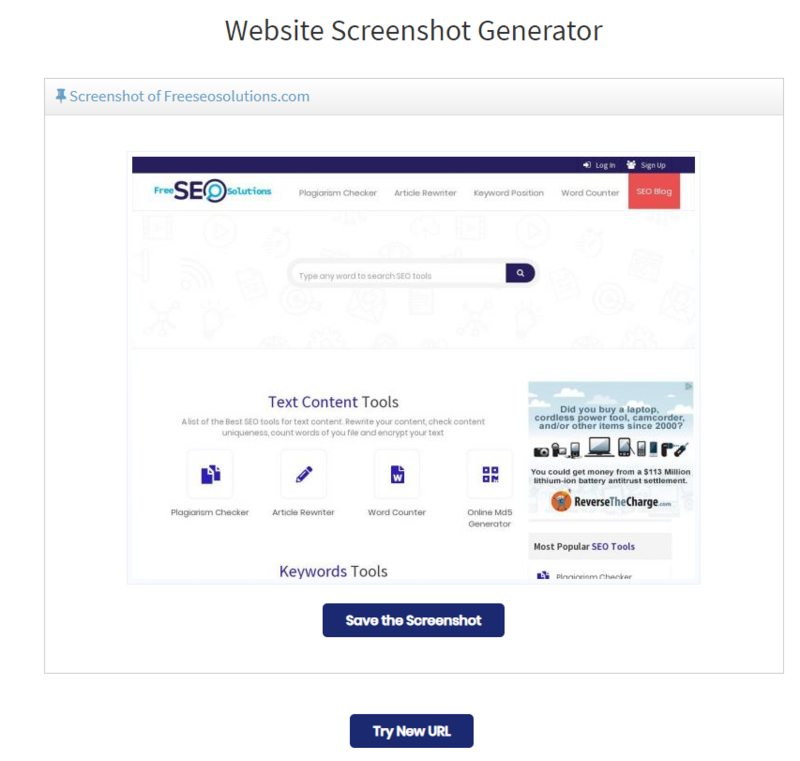 Free Online Website Screenshot Generator Tool allows you to take screenshots on the page before the user clicks. This useful tool is for those users who want to improve the rate of click-through, stickiness, and traffic of your site, this screenshot generator is for you. Your users can imagine your website before clicking on it to see what happens and what they see before the actual visit. Website screenshot generator generates screenshots of thousands of web pages. It is used by website owners and marketers who want to increase traffic. Therefore, if you have a website and want to increase the number of visits to your pages by uploading the screenshots generated on the site to share images, stop thinking and start using the tool today. You can use our website screenshot generator online. You can generate a screenshot of any page of the site in seconds. Also, you do not have to pay for the tool, it is totally free for all of our users. Our tool helps website owners to take screenshots of their pages in no time. You just have to do is enter the URL of the page on which you want to create the screenshot without any problem. This tool can display the screen of any web page or generate thumbnails that you want to use. This tool is ideal for websites directories and blogs. He has provided thousands of screenshots with professional copies that are shown to users around the world.